Welcome to Bradford, the world’s first UNESCO City of Film. Bradford has a long history associated with film and filmmaking dating back to the birth of cinema and has long been acknowledged by the film industry as a film-friendly city. Bradford is a key location for film and TV production. In addition to our film heritage credentials Bradford also boasts a number of key film festivals and film related events and masterclasses. We continue to develop more opportunities for people to enjoy film and celebrate the City’s diversity through film. UNESCO Creative Cities Network is network of creative cities, working together towards a common mission for cultural diversity and sustainable urban development. “Socio-cultural clusters” connecting socio-culturally diverse communities to create a healthy urban environment. The Network aims at developing international cooperation among cities and encouraging them to drive joint development partnerships in line with UNESCO’s global priorities of “culture and development” and “sustainable development”. David Wilson is Director of Bradford UNESCO City of Film, where he represents the city on an international level as part of the UNESCO Creative Cities Network. Using the UNESCO title, David and his team are working with many partners to bring about positive social and economic impact for the people of Bradford and UK, to ensure all are realising the benefits of its status as the world’s first UNESCO City of Film. David is an international ambassador for the city, regularly speaking and presents at film, business and community events on Bradford’s film heritage and the city’s approach as a creative city, in addition to writing about film and presenting review shows on TV and radio. 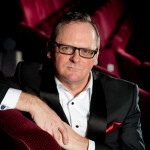 David has a first class honours degree with a focus on culture and regeneration from the University of Bradford and is Director of the Small World Film Festival, the Bradford Family Film Festival and the Golden Years Film Festival and was appointed Honorary Fellow in Film at the University of Bradford in 2017. He is also a member of the advisory board at the Centre for World Cinema & Digital Cultures – University of Leeds, UK. David is an expert advisor to the UK Commission to UNESCO in relation to film literacy and the development of Creative Cities and in 2019 was appointed to the Editing Committee of China’s Blue Book of Film – an annual publication on the development of the global film industry.